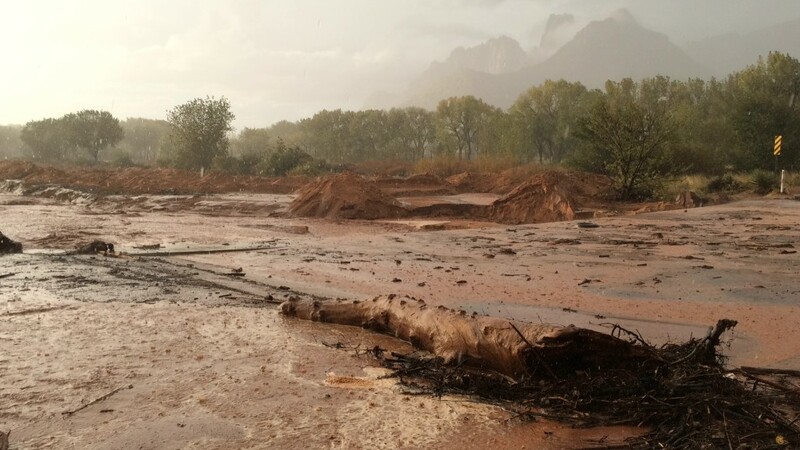 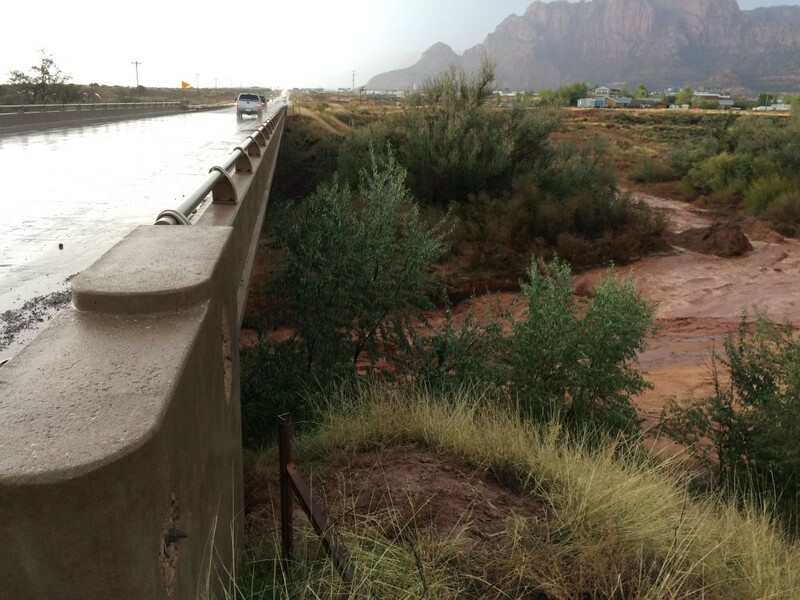 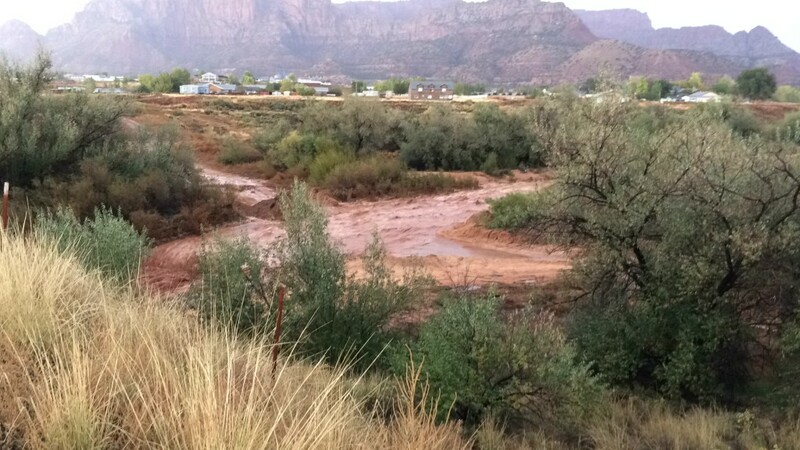 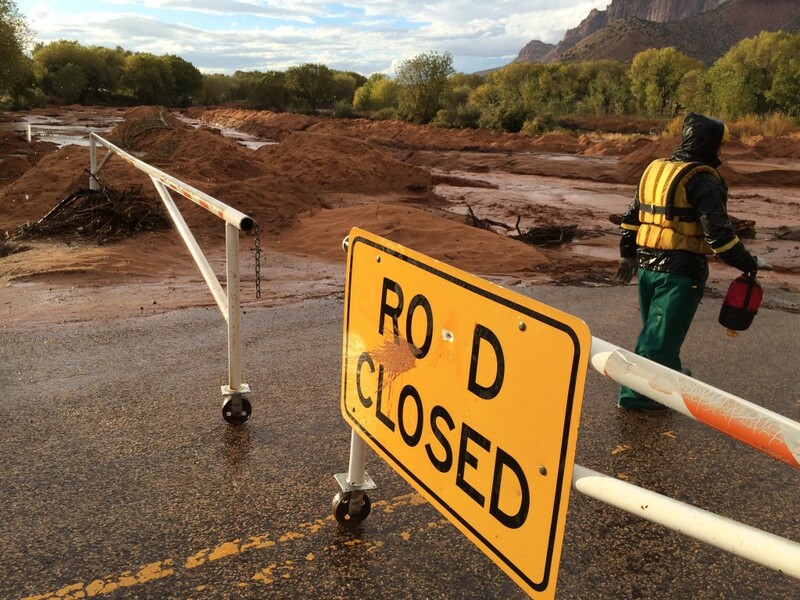 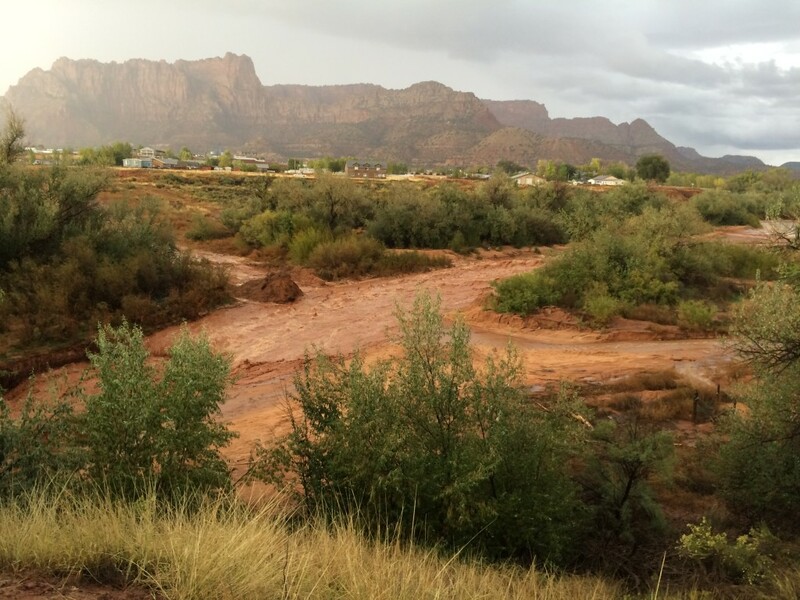 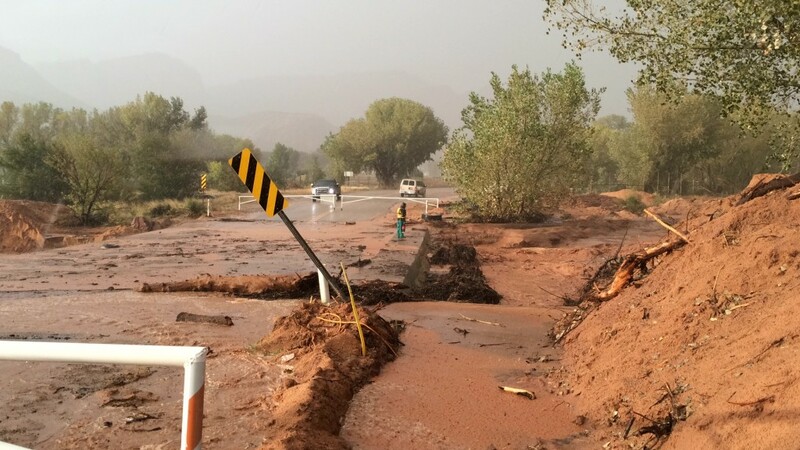 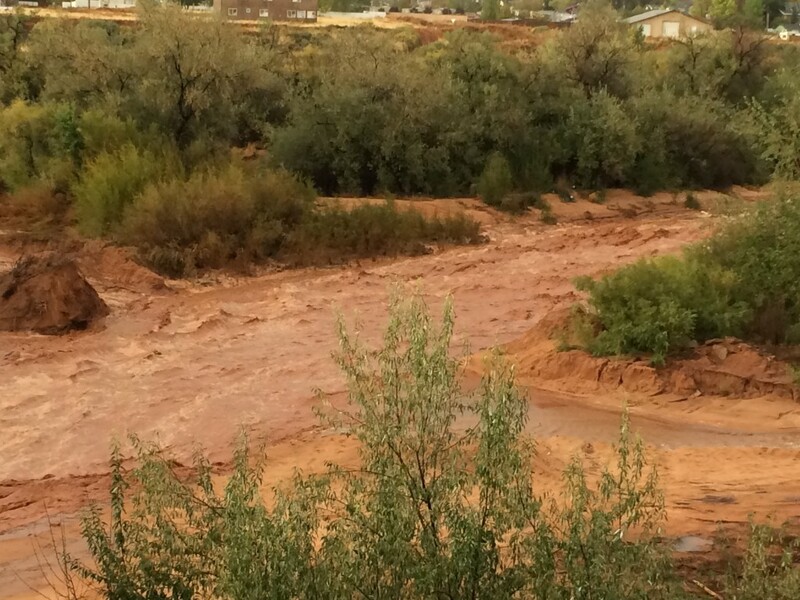 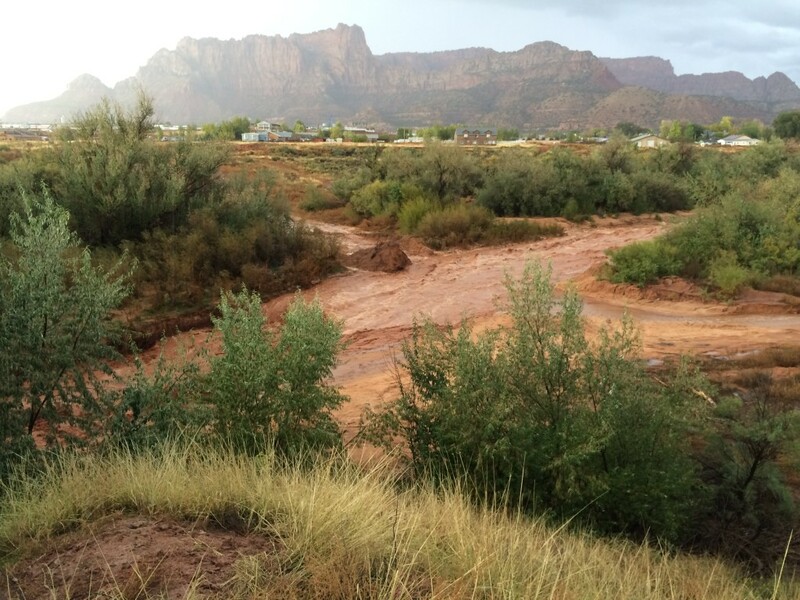 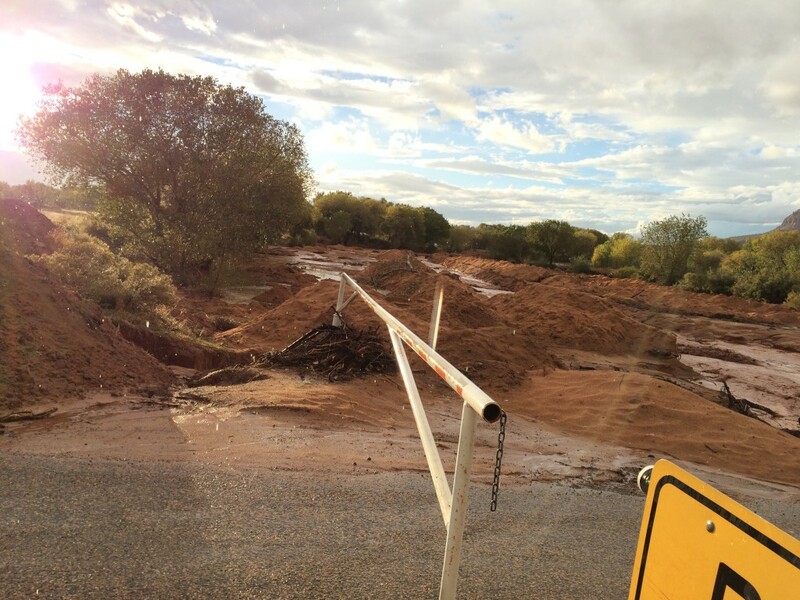 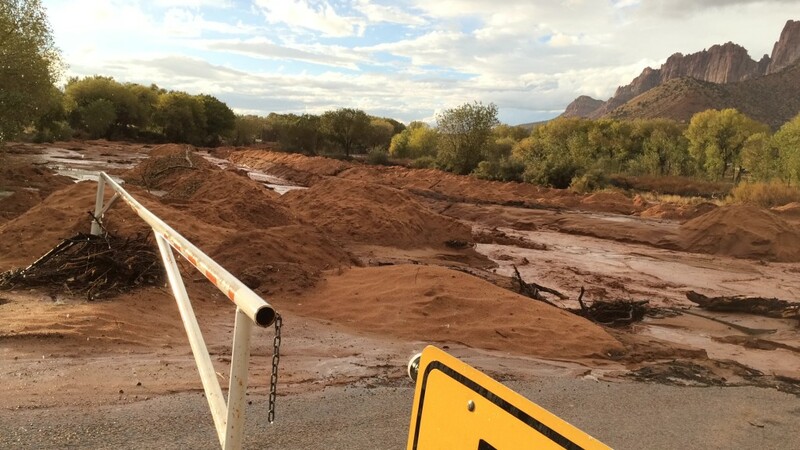 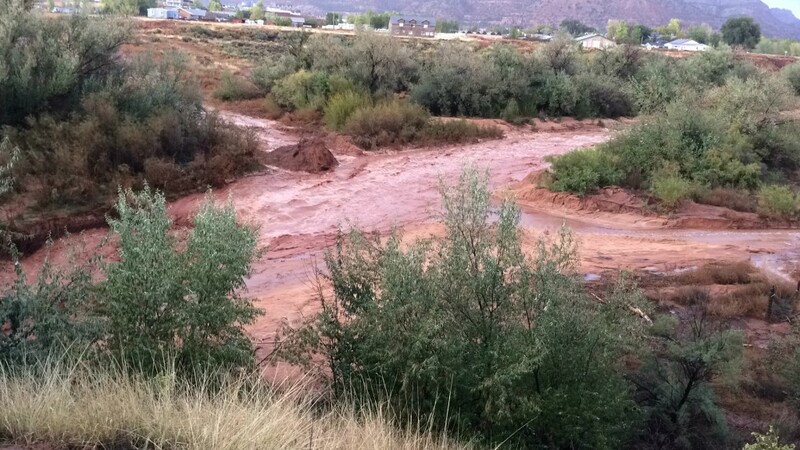 HILDALE – Heavy storms once again struck Hildale and neighboring Colorado City, Arizona, Saturday, bringing floodwaters as well as hail, lightning and thunder. 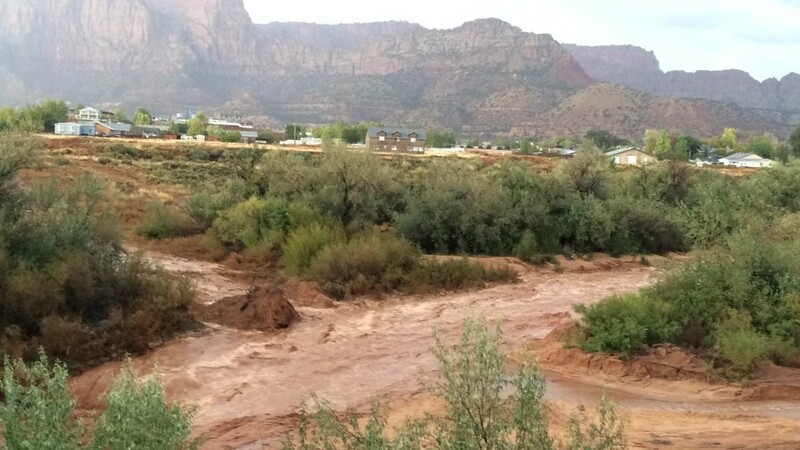 With the memory of last month’s fatal flooding still fresh in their minds, an alert community reacted fast to the threat of more floods. 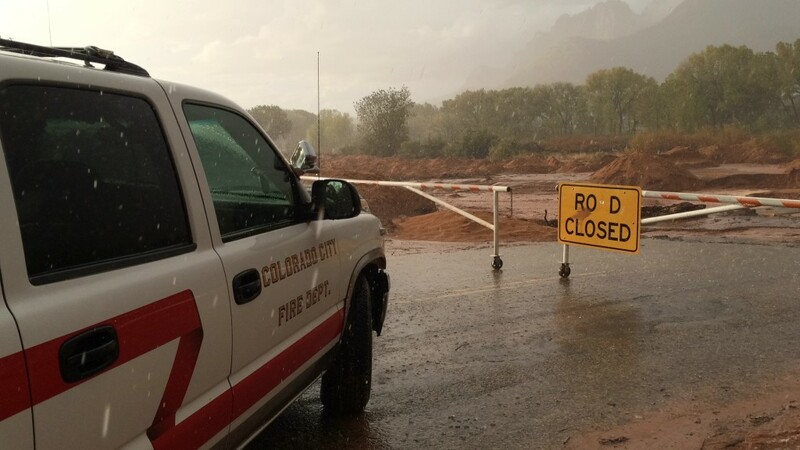 “Everybody’s been very careful and very cautious,” Hildale-Colorado City Fire Chief Kevin Barlow said. 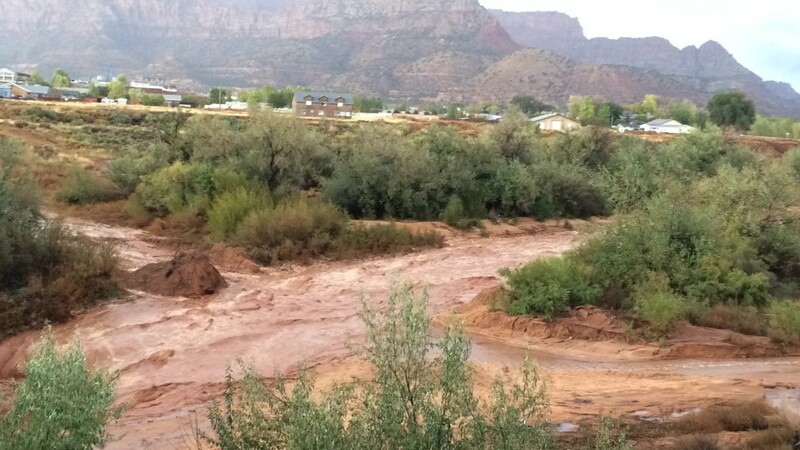 Repairs and cleanup are still underway in the wake of the September flash flooding that left 12 dead and one little boy still missing. 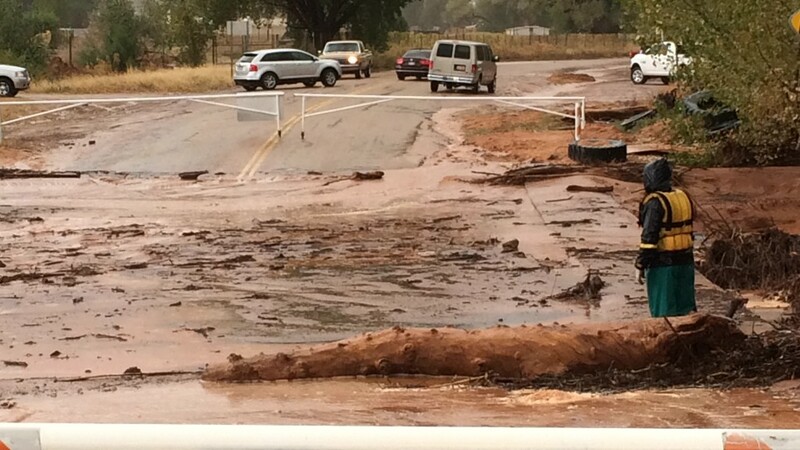 Barlow said some of the repairs that have been made were helpful when Saturday’s flooding hit. 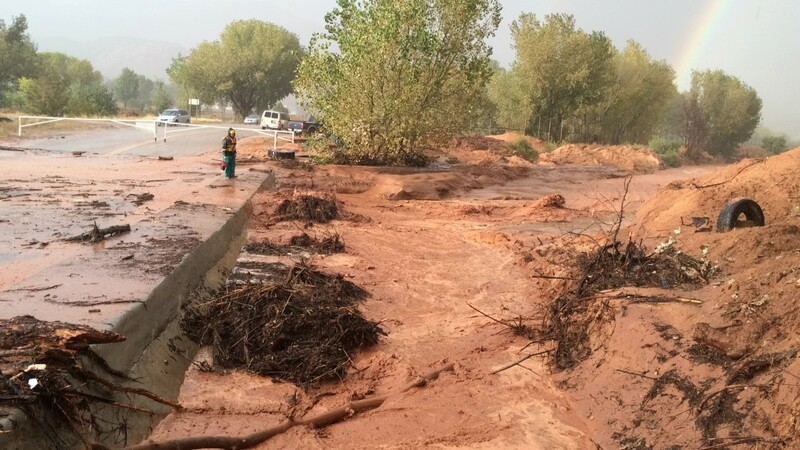 Work that has been done on Academy Avenue, for instance, protected the creek banks there. 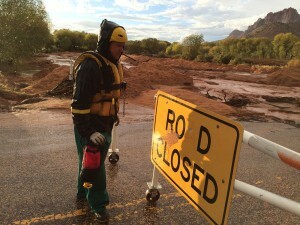 “Some of the work that’s already been done did make a little bit of difference,” he said. 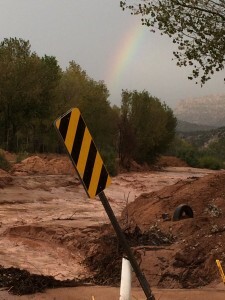 “It already has helped us,” he added. 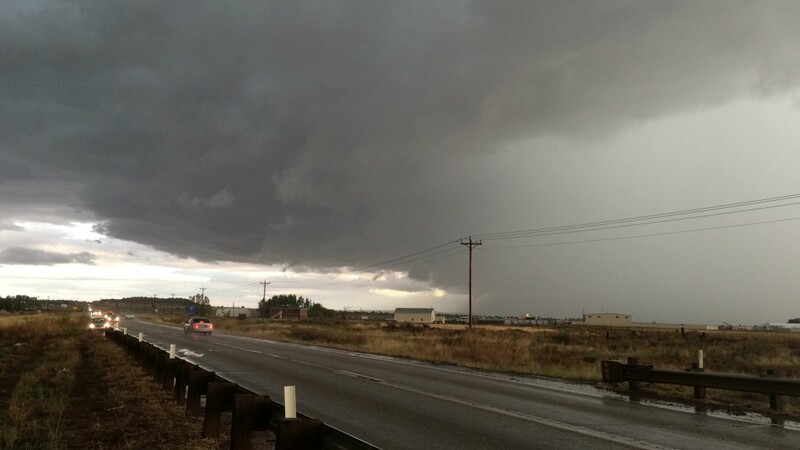 Emergency responders were watching the weather radar and saw Saturday’s storm coming, Barlow said, so they were ready for it. 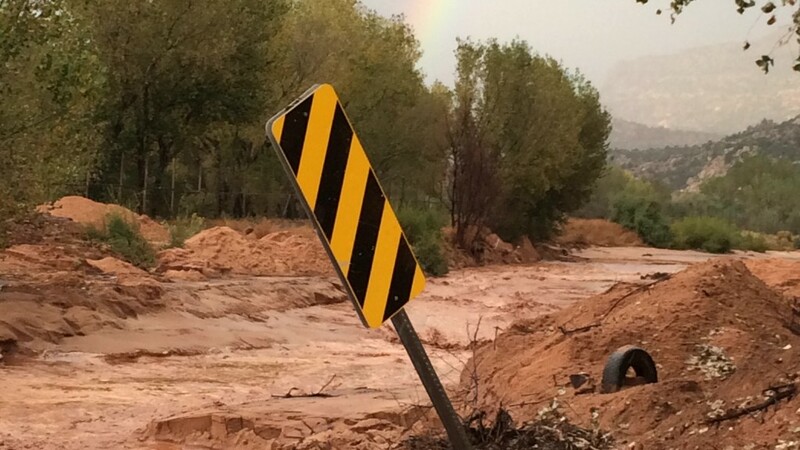 But the flood reaction of local emergency responders is much the same as it ever was, he said; it’s the heightened awareness of citizens that is making the most significant difference. 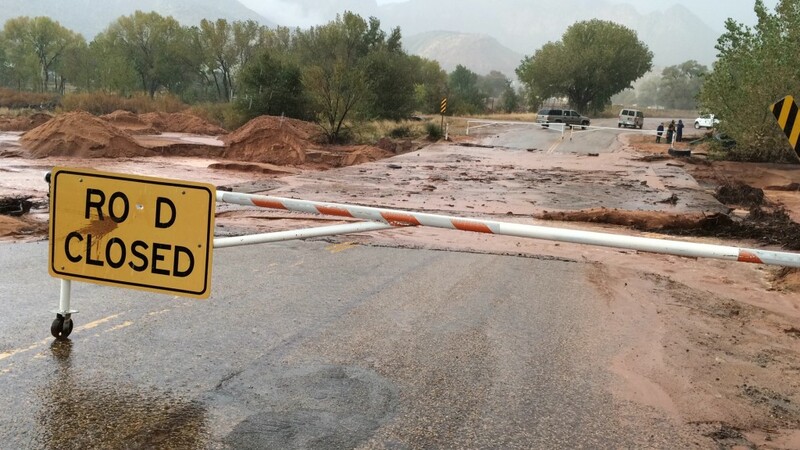 “I think the biggest difference is the motorists have been far more aware of the dangers, so it hasn’t been a difficult thing to get the roads closed,” Barlow said. 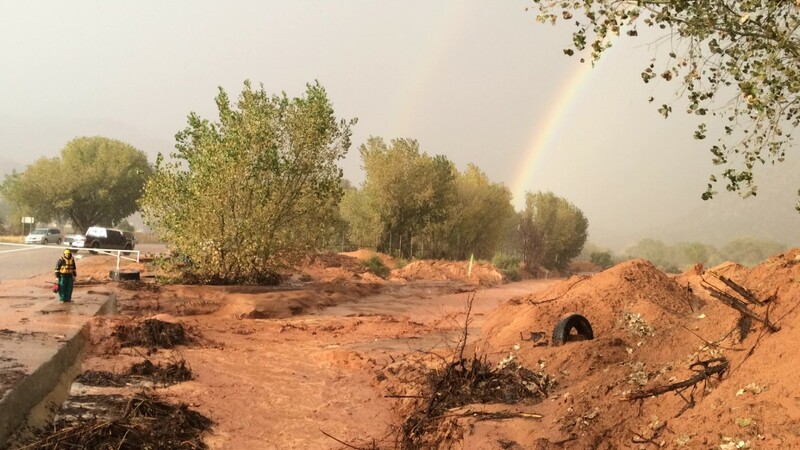 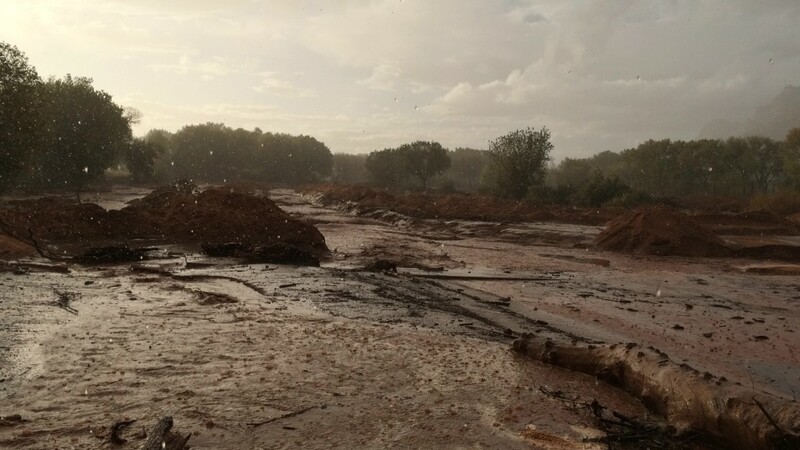 There were reports of some vehicles becoming stuck in the mud, but Barlow said he wasn’t aware of anyone being in danger because of the flooding. 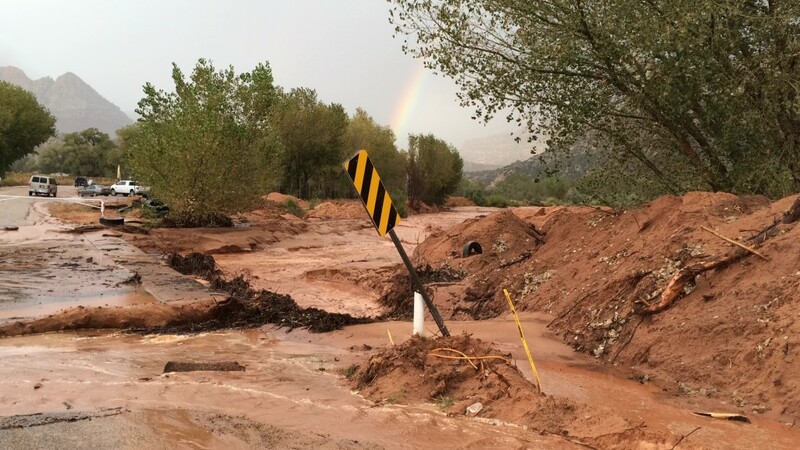 Some people did attempt to cross flood areas in their vehicles as responders were putting up road barriers, but Barlow said most people were being safety conscious.